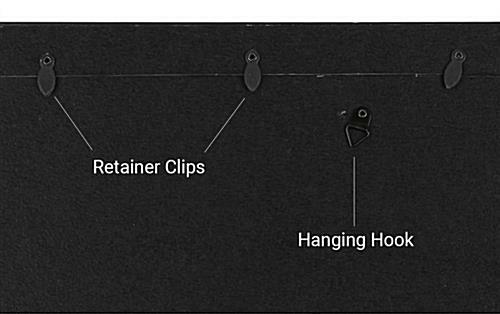 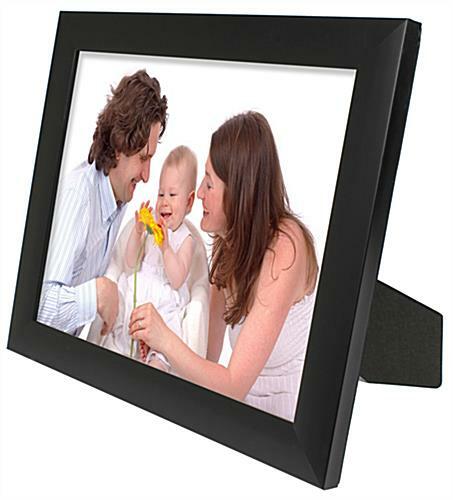 This gloss black plastic 8x10 photo frame features both an easel backer for desk or countertop use and hooks for mounting on walls or other vertical surfaces. 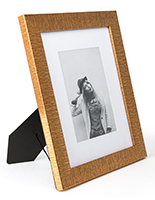 The versatile picture holder is stylish enough for holding personalized custom or stock art or picture displays and economical and sturdy enough for commercial or professional use. 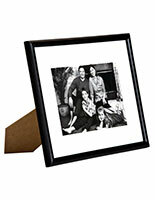 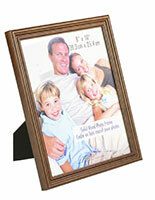 The simple black plastic 8x10 photo frame can be used singly in groups to create effective visuals. 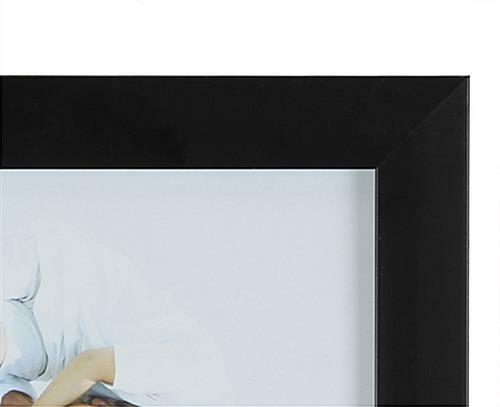 The counter or wall-mount fixture is great for showcasing point of sale advertising, wayfinding information and stock art displays as well as personalized pictures. 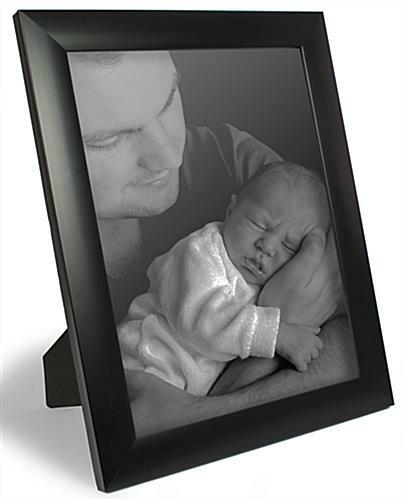 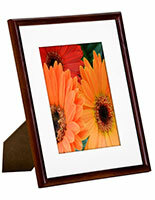 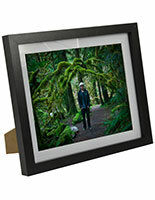 Each lightweight plastic 8x10 photo frame's rich black finish creates a modern-looking gallery style presentation. 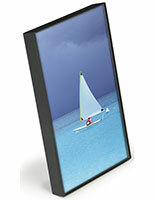 Restaurants, retail stores, hotels, hospitals and trade show vendors find this type of economical picture holder for 8" x 10" imaging invaluable for directing customer attention.